The current waste management system in California relies on more than 500 local governments and their waste haulers to figure out how to recycle and dispose of products, even hazardous ones. In California, products banned from landfills exceed $500 million annually, according to a report done by the Department of Resources Recycling and Recovery (CalRecycle). There is no estimate of the total cost of collection and disposal. Driven to reduce these costs, encourage less toxic products and those that can be cost-effectively recycled, more jurisdictions are adopting resolutions to support a policy called extended producer responsibility (EPR). Producer responsibility shifts the cost of product waste management from the taxpayers and garbage ratepayers to the producers of products, which often incorporate the cost into the product purchase price. It also shifts responsibility for the recycling system to the private sector, ensuring a smaller government and more competitive as well as cost-effective recycling system. Producer responsibility removes some of the burden for waste management from local governments to the manufacturers, distributors and retailers who all profited from the product. As a direct result of presentations given under a grant funded by CalRecycle and awarded to the Del Norte Solid Waste Management Authority, 20 California cities and counties have adopted these resolutions, bringing the statewide total to 126. "We adopted an EPR resolution because we wanted to voice support for legislation and programs that require producers to play a greater role in reducing product waste," said Leslie Robinson, program specialist with the Santa Barbara County Public Works Department. "We are very excited about California's new paint stewardship program, which is estimated to save the County over $90,000 in paint disposal costs." Due to the economic downturn, cities and counties have to cut services rather than expand them. In some jurisdictions, taxpayers are forced to choose between police and fire or raising garbage rates or recycling toxic products. 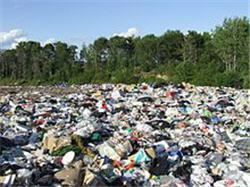 By shifting responsibility for designing and operating the recovery system to producers, it creates a free-market, feedback mechanism that encourages them to create better-designed, longer-lasting products with bio-degradable and/or less packaging to end up in landfills, reducing end-of-life costs. When producers develop, fund and manage “take-back” programs for products like paint and mercury-containing lights, they can achieve economies of scale that reduce recycling costs and ensure that products are managed from “cradle to cradle” versus “cradle to grave” with no additional cost charged to recycle the product at end-of-life. Studies show that when people have to pay to recycle, most products end up in the trash. When EPR becomes the model as it has in places like Canada, the amount of waste to manage usually goes down, saving money. “The paint stewardship program being implemented starting in the fall of 2012 is estimated by CalRecycle to save $21 million to Californians systemwide” said Sanborn. “Producers can collect and recycle paint more cost-effectively than government”. Local government officials in Napa County have gone on video with their reasons for supporting producer-responsibility programs and why they adopted resolutions asking manufacturers to reduce the end-of-life impacts of their products. To view these videos, go to www.calpsc.org. In addition to the elected officials, representatives from a local hardware store, waste hauler, hospital, sanitation district and sustainability organization shared why they participated in the local fluorescent lamp or sharps/pharmaceutical take-back projects and their experiences with those programs.